Newcomer Family Obituaries - Arla Jean Draves 1925 - 2019 - Newcomer Cremations, Funerals & Receptions. 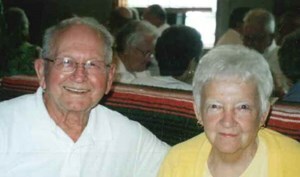 Arla Jean Draves, age 94, of Temperance, Michigan, passed away on Thursday, March 14, 2019 at Genesis Healthcare - Sylvania Center. She was born on January 31, 1925 to Lloyd and Helen (Garrett) Hays in Toledo. Arla was a graduate of Whitmer High School and during WWII she worked at American Propeller. She was great at crocheting, knitting and quilting. Most important to Arla was her family, they were her pride and joy. Her family will remember her for being a loving wife, mother, grandmother, great-grandmother, great-great-grandmother and a great cook! Left to cherish her memory are her three sons, Gary (Karen), Jack and John Draves; six grandchildren; twelve great-grandchildren and six great-great-grandchildren. In addition to her parents, she was preceded in death by her husband of nearly 65 years, George C. Draves, Jr.; siblings, John Hays, Henrietta Eggleston, Bob Hays and Helen Henry. The family will receive guests on Wednesday, March 20, 2019 from 2-7:00 p.m. at Newcomer - Northwest Chapel, 4150 W. Laskey Rd. (419-473-0300) with her Funeral Service starting at 10:30 a.m. on Thursday, March 21, 2019. Interment will follow in Ottawa Hills Memorial Park. Add your memories to the guest book of Arla Draves. Trip, Our most sincere condolence to you and your. May peace be with you.